Handheld vacuums are just like regular upright vacuums, but much smaller and portable. As you might expect, due to the size differences, handheld vacuums tend to be far less powerful than vacuums that are of regular size. Generally speaking, you use a handheld vacuum by pressing or holding down a trigger, and this trigger turns on the suction. 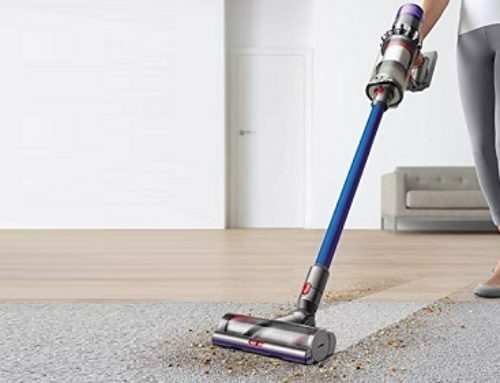 Then, you move the handheld vacuum across the surface you want to vacuum, and the suction does its job and gathers up all of that dirt, dust, and debris. These things are thrown into the dirt tank. This dirt tank is usually quite small, because of the size of the handheld vacuum. With a handheld vacuum comes many different benefits. Should I Go With A Lithium Or Lithium-Ion Battery? Should I Choose A Handheld Vacuum Or A Stick Vacuum? What Is A Good Handheld Vacuum For My Car? What Is A Good Wattage For A Handheld Vacuum? First and foremost, this is a handheld vacuum; it’s easy to maneuver and control it. Along with that, handheld vacuums are easy to use; press a button, and the vacuum is on. If you have a small mess that needs to be cleaned, handheld vacuums are the quickest way to do just that. Finally, one of the most notable benefits is the fact that these vacuums enable you to reach spaces in your home that no other vacuum can reach, or reach with as much ease as a handheld vacuum. For those reasons, a good handheld vacuum is a very wise investment. Now, searching for the best handheld vacuum for your needs can be a little tricky. But, that’s only the case if you don’t know what it is that you are looking for. There are a multitude of features and specific elements that you should be focusing on when looking for a handheld vacuum. You must also ask yourself what your intentions are for the vacuum, and what it is that you, specifically, will be vacuuming. For example, let’s assume you are mostly going to be using your handheld vacuum for crevices and several specific tight spaces. If that’s the case, then you must keep that in mind as you search for a handheld vacuum. Don’t worry, though, this buying guide will help you understand the features to look for, and the questions to ask yourself. With regards to cost, handheld vacuums don’t destroy your bank account. You can find good handheld vacuums that cost anywhere from fifty-dollars to two-hundred dollars. Some of the more expensive handheld vacuums will have certain features that aren’t as prevalent in the less expensive models. Whereas the inexpensive handheld vacuums will generally consist of the basics, and maybe one or two extras. It all depends on your budget, and your needs and wants. Handheld vacuums are a broad genre of vacuum. There are many different types of them. Some are designed for general cleaning; others are designed for more specific purposes. Purposes such as cleaning the interior of your car, for example. If you are going to be using your handheld vacuum to clean upholstery – such as your couch – you will find that there are handheld vacuums built specifically for that purpose. Same with cars and pet hair, among many other things. Corded handheld vacuums exist, as well as cordless ones. With a corded handheld vacuum, you have less mobility, but you don’t have to worry about recharging the battery. With a cordless vacuum, your mobility is, essentially, unlimited. But, of course, you do have to recharge the battery every so often. Once again, it all depends on your needs and preferences. Naturally, performance is the first thing you want to look at when buying a vacuum. Suction power plays a major role in the performance of any vacuum, and that is why it is the first item on this list. While it is true that handheld vacuums aren’t as powerful as their larger counterparts, that isn’t to say they lack in suction power. Far from it. Many advancements have taken place, with the technology, and now they can easily vacuum up things like pet hair, dust, spills of debris – such as cereal – among other things. Of course, this does vary from brand to brand. Some handheld vacuums have incredibly powerful suction, and some of them have very weak suction. For great suction, you will be paying a higher price. When buying a handheld vacuum, look for, at the very least, five amps of power. 6 to 12 amps of power is ideal. And if you want the most powerful of all, something around 13 to 17 amps will be more than sufficient. As with any other type of cordless vacuum, the battery life of a handheld vacuum does vary between models. Some handheld vacuums only last for 5 to 8 hours on a single charge, whereas others can last for up to 2 months on a single charge. With the handheld vacuums that last for up to two months, it is implied that you won’t be using it with a great deal of intensity. Sure, you’ll be using the vacuum every so often, but not with any degree of intensity or any extensive use. Each model has a different level of battery life. Some of them will just be a lot better for your purposes, due to the way you are meant to use the handheld vacuum. If you want to use your handheld vacuum every day, then getting a handheld vacuum that emphasizes this is a great choice. If you don’t intend to use your handheld vacuum every day, then purchasing a handheld vacuum that can last several months, with minimal usage, is a great choice for you. Just like with battery life, every handheld vacuum has a different length of time it takes to charge. For some, it’s as short as one hour. For others, it’s as long as six hours. Fortunately, this information can almost always be found on the main store/product page of the handheld vacuum. 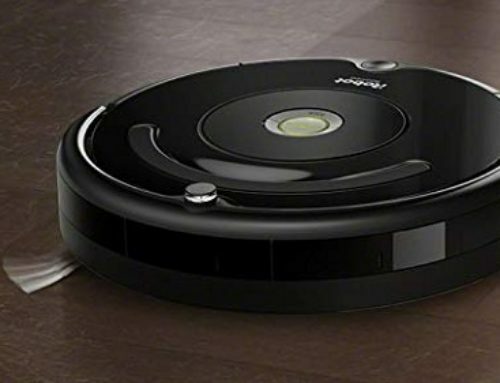 If the handheld vacuum is meant to be used over the course of several months, on just one charge, then recharging it will take a decent length of time. As much time as, say, six hours. If the handheld vacuum is meant to be used over the course of ten-hours, it will only require a two-or-three hour of charging time. Ultimately, what it comes down to is what is convenient and efficient for you. If you want a handheld vacuum that lasts for months at a time, then having a long charge time is what will come with the handheld vacuum. Just like if you want a handheld vacuum that lasts for a shorter period, you will have a shorter charging period. Most handheld vacuums don’t come with too many accessories. But, chances are, whatever handheld vacuum you buy will have at least one or two accessories. Two of the most popular accessories, for any vacuum, are the crevice tool and crevice brush. These are simple accessories that extend the range and functionality of your handheld vacuum. Using a crevice tool, it’s easier for the vacuum to pick up debris that is located within those tight and awkward spaces. Using a crevice brush, loosening up that dirt and debris is made a lot easier, enabling the crevice tool to be even more efficient. You should always make sure that you have, at the very least, a crevice tool bundled with your handheld vacuum. Ideally, it will have a few more accessories though, just in case you need them. Hoses, in any vacuum, should have some degree of flexibility. If a hose is static, solid and immobile, then it’s going to make some things a lot harder. Specifically, moving the vacuum around to reach spots and spaces that an immobile hose just can’t reach. This is especially important if you are cleaning furniture, but most things fall under the same category. In some cases, you may not want a flexible hose, but in most cases, a flexible hose is a definite convenience and advantage. Most of the time, this information isn’t advertised. Sometimes it is, and if so, take note of it. Most times, however, this information will be a little harder to find. So, you’ll need to read the user reviews to see whether or not the handheld vacuum you are looking at has a hose that is flexible, or not really. Since this is a “handheld” vacuum, it goes without saying that weight is something to be concerned with. If the handheld vacuum is too heavy, then using it is both annoying and inconvenient. Here’s a good rule of thumb, though: all handheld vacuums are lightweight. That’s simply the fact of the matter. Perhaps, in the past, there were handheld vacuums being made that weren’t lightweight, but today, that is far from a problem. 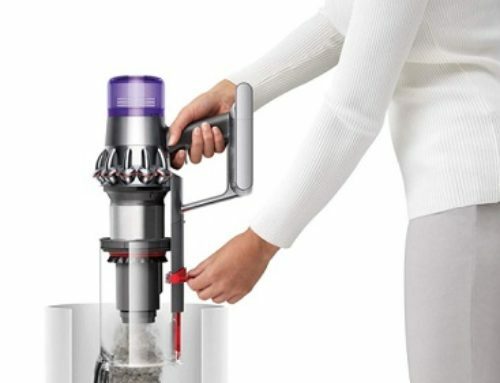 So, the question is less “is this a lightweight vacuum” and more along the lines of “how good is this vacuum?” Every handheld vacuum weighs around 1 to 4 pounds. Four pounds being somewhat of a rarity. One-to-two pounds is far more common. When considering weight, focus less on how much the handheld vacuum weighs, and far more on the quality of the product and its components and overall usability. Vacuums have a tendency to be quite loud. It’s simply the nature of a vacuum, due to the suction and filtration systems that they use. Most handheld vacuums aren’t too loud, though. Especially in comparison to the standard upright vacuum, or even the standard canister or stick vacuum. But, of course, this doesn’t mean that they don’t produce any noise. If the sound is a big issue, you’ll want to purchase a handheld vacuum that advertises features that involve producing less sound and being quiet. But, if the sound isn’t an issue, but you don’t particularly enjoy the sound of a loud vacuum, you don’t have much to worry about. Handheld vacuums are relatively silent, especially in comparison to the other types of vacuums on the market. The design is a big one. It encompasses every single facet of a handheld vacuum. From the suction system to the materials used for the handheld vacuum itself. Aesthetically, it’s always nice to have a tool that looks nice and slick. So, choose one that appeals to you on a visual level. Most of them look pretty similar, but regardless of that, choose one that looks nice to you, visually. When it comes to the actual design of the handheld vacuum, ergonomics is the best lens to look at it. Take a look at where the handle is. Take a look at how all of the components are connected. Does it look like it would be comfortable to use? Does it look like you would find it comfortable to use? That’s the best way to tell. Looking at the design, and then making a good guess that is, more often than not, completely accurate. Alternatively, if you are near some kind of store that sells handheld vacuums, and they have them on display, you can, quite literally, get a feel for them. The design also encompasses the overall performance of the handheld vacuum. You, naturally, want something that is powerful and efficient. This information is easy to find on the product page and through user reviews. Don’t sacrifice performance for the price, though, because there is a chance that the handheld vacuum just won’t be very good, to begin with. Ultimately, find a handheld vacuum that is aesthetically pleasing, looks well-made on an ergonomic well, and that also has good performance. That’s the best thing you can do, regarding finding a well-designed handheld vacuum. For most vacuums, maintenance is a pretty familiar routine. It’s all a matter of making sure that the vacuum is put away in a safe place, that you aren’t throwing it around or being too rough with it, and that you empty out the dirt tank and make sure the filters are clean and in good shape. Treat your handheld vacuum the way you would treat any other vacuum/important tool. Just by doing those very simple things, you will ensure that your handheld vacuum remains in good shape. If the handheld vacuum is in good shape, then it will last many, many years. Especially if the design is good and durable, then it will last for a nice, long time. Lithium, or lithium-ion? Which one is better? Which one should I choose? Those are all pretty great questions, and the answer is a little complicated. Before we can get into that, though, let’s define what a lithium battery is, and what a lithium-ion battery is. First off, lithium batteries hold a single charge for a very long time. But, many of them are far more difficult to recharge. A true lithium battery doesn’t have the ability to recharge. This is why all of the handheld vacuums that come with them don’t allow you to recharge them. Instead, you must buy a new battery. This is less of a convenience when you realize that these batteries can easily last for several months at a time. But, at the same time, replacing them can be annoying. Also, and this is far less prevalent with vacuums, but certainly the case with watches and other portable electronics, sometimes you can’t replace the lithium battery. What this means is that the manufacturers have designed a device that makes it very difficult to replace the battery. So, you have to buy a new one. Most handheld vacuums aren’t like this, but a couple of models are. So, read the reviews and keep that in mind. Now, with lithium-ion batteries, you have a much shorter length of time for the battery life. But, you can recharge these types of batteries. Depending on how you feel about this, it may be a more convenient choice to purchase a handheld vacuum that uses lithium-ion batteries. Handheld vacuums offer far more versatility and mobility than a stick vacuum. If that is what you want out of a vacuum, then a handheld vacuum is the ideal choice. Here’s the thing, though, stick vacuums are more powerful. Regarding suction and the power of the motor, they can be a lot more powerful. If power is what you want, then a stick vacuum is easily the better choice. But, you are sacrificing power for mobility. In the end, a handheld vacuum is the peak of mobility and versatility. Whereas a stick vacuum has many similarities, it is also more restricted, due to the size differences. But, stick vacuums offer the power that you might prefer. However, with that being said, neither handheld vacuums nor stick vacuums, are known for being very powerful. They just aren’t. This is because they’re focused on mobility and size above all else. So, they have smaller motors and weaker suction. If power is your main focus, then an upright vacuum is easily the best choice. They are easily the most powerful type of vacuum on the market. But, for a good alternative that remains mobile and versatile, stick vacuums aren’t bad. Many handheld vacuums will work just fine for a car. Some of them won’t be as good as others, but most of them work very well. However, keep in mind that most handheld vacuums are designed for more general purpose vacuuming, rather than a specific purpose. Some of them, however, are designed for specific purposes such as vacuuming up pet hair or, as you might expect, vacuuming the interior of your car. If you want something that works especially well for vacuuming your car, then you must find a handheld vacuum that is designed for that specific purpose. The same goes for finding a handheld vacuum that works best for cleaning up pet hair, among other things. Today, many more handheld vacuums are being designed with specific purposes in mind. If you have any specific purpose in mind – whether it’s vacuuming the upholstery in your car or getting rid of your pets fur messes during shedding season – there is a good chance that there is a handheld vacuum built specifically for that purpose. As mentioned earlier in the article, at the bare minimum, you want a handheld vacuum with four amps of power. In watts, this is about six-watts. This is the bare minimum. More often than not, it will be more than sufficient. Sometimes, though, it won’t. It really won’t work as well for slightly bigger tasks that involve cleaning things up that are bigger than dust or small pieces of cereal, for example. So, in that case, you would want to find a handheld vacuum that has around twelve-watts, or even twenty-watts, for bigger cleaning jobs. Ultimately, though, this information isn’t always the easiest to find. It’s rarely advertised directly. So, instead, what you want to do is to read the user reviews and the information provided on the product page. The information provided will go into detail about the suction and motor power, most likely. This information can greatly help you in making the right choice. Just like buying any other vacuum, buying a handheld vacuum requires you to know what it is that you want. Specifically, that is. Then, you need to consider the features and individual aspects of a handheld vacuum, and how they relate to what you intend to do with them. If there is one thing to remember, though, it’s that handheld vacuums are simple tools meant for simple purposes. Cleaning big messes is not recommended. Small messes and spills are what handheld vacuums are meant for.